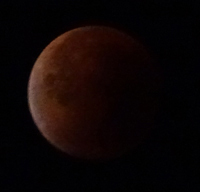 Last night’s lunar eclipse was amazing. We watched it for over 2 hours. As it began, the moon was so bright there were shadows in the garden at 2am. 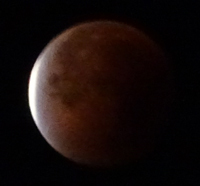 By the time it reached full eclipse, the moon was a rich orange/red in colour. It was so dark and cloud free that we had a clear view across the sky of the rings of stars, which make up the rest of the Milky Way galaxy, stretching out into the distance. 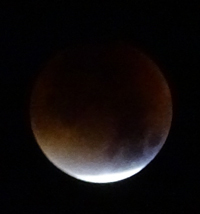 We only have a compact camera but it still took some great pictures of the eclipse. I have finally finished my portable anvil. 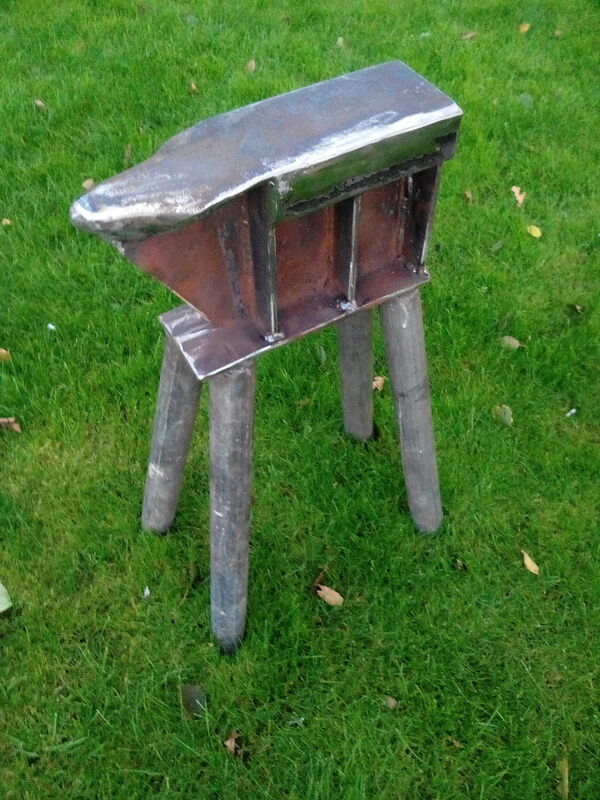 I spent weeks searching ebay and the like for a suitable anvil to use when ‘out and about’, all to no avail. They were generally too large (like my regular anvil at 200lb plus), or too small, being for jewellery work. The decision to make one was therefore forced on me. Mine began life as a scrap piece of RSJ I had lying around and a £4 length of scaffolding pole sourced from a local scrapyard for the legs. Add in some odd pieces of metal for bracing, some time on the forge to shape the beak, a couple of hours with a MIG welder, and a portable anvil is the result. Finally I hardened the top face to make it wear better and to give it a nice ring when hit. It will never be as durable as a solid cast steel anvil, but then I don’t need it to be. I have my full size anvil for regular blacksmithing work and this will work perfectly for smaller ‘out and about’ work. It’s time for the Chelmsford Ideas Festival 2015, running from 19th October to 1st November. There is a wide range of events being held across the City, including one from me. The theme for this year is ‘connect’ and I am giving my talk ‘A year in beekeeping’, encouraging people to connect with nature. With the help of an empty hive and some slides I will take the audience through a year in beekeeping, dropping in some interesting facts and figures. I will also be challenging some of the claims around Manuka honey and explaining the science behind why, without bees, humankind simply wouldn’t survive. My talk will be on Friday 23rd October at Anglia Ruskin University, 7.30pm-9pm. What’s more, it is free to come along, but booking is necessary to ensure no one is disappointed on the door. Book here or at www.anglia.ac.uk/community or call 01245 684723. 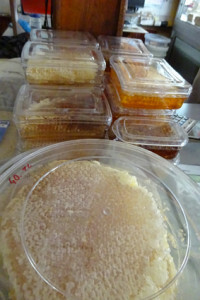 I will also have some honey and natural hive products for sale. The full Chelmsford Ideas Festival programme can be downloaded here. Their website is here and facebook page here. One of the traits of a beekeeper, wherever in the world they may be, is that they waste nothing. 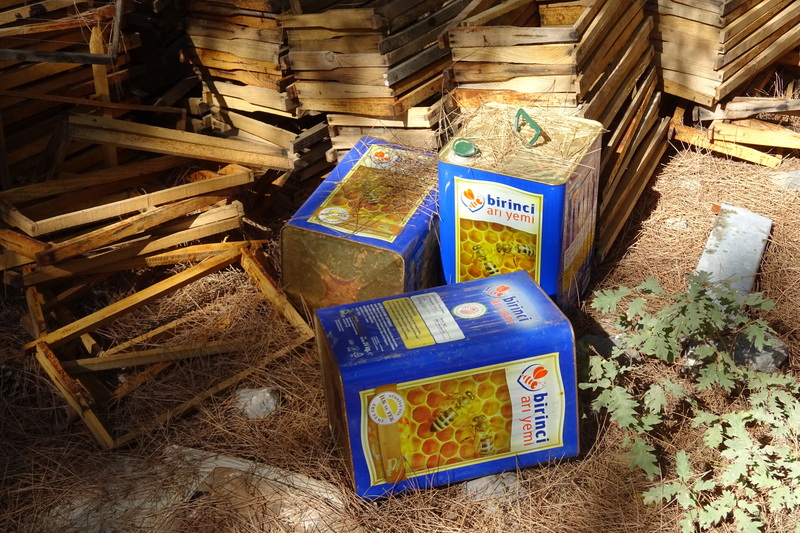 This usually manifests itself in the reuse and repair of wooden hive parts, a process Turkish beekeepers have turned into an art form. There is of course an aspect of necessity going on here. 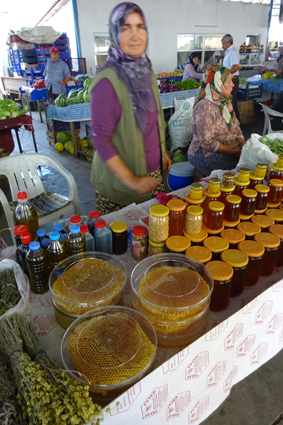 But, with Turkey the second largest global producer of honey, behind China, they are just well organised and have not yet fully adopted the westernised throw away culture. If Turkey is ever able to achieve its ambition to join the EU, then it may need to prepare for an avalanche of paperwork. The UK regulations to charge 5p for carrier bags is 20 pages long in its simplified pdf. Back to Turkish honey. Locally they sell in whatever jar they can find. Their jars and containers have no labels. Meanwhile, back in the EU, the regulations regarding the labelling of honey are somewhat more complicated. You might think this is a necessary evil for the protection of consumers. There are however, some statistics that suggest this isn’t working. It is reported that, in 2013 New Zealand produced c1,700 tonnes of manuka honey. However, sales of manuka honey are recorded at over 10,000 tonnes worldwide. So, what exactly are you buying when you pay £30+ for a jar of manuka honey? The odds suggest that it may not be what it claims, and perhaps not what you are paying a massive premium for. One of the (rather unoriginal) points made about beekeepers is that, if you ask 5 beekeepers a techncal question, you get 10 answers. One of the regular questions from new beekeepers is about how to organise the hives in their apiary. It is generally accepted that bees can tell left and right, but no more. For this reason we have our 6 hives in 3 groups of 2. The principle is that bees will always return to their own hive, avoiding problems with robbing and fighting. It is also generally accepted that 40 or so hives is a sensible maximum in any single apiary to ensure that enough forage exists to support the colonies. 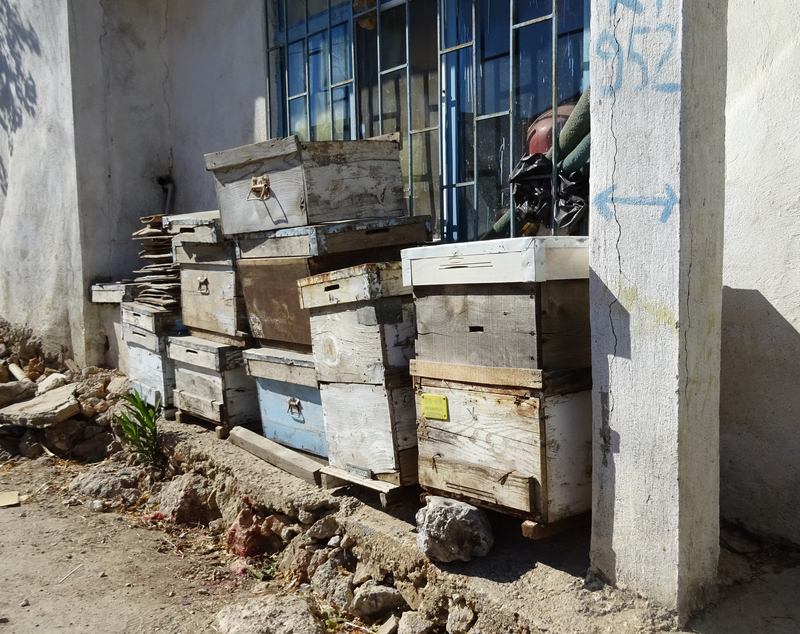 We were in Turkey last week and, as usual, we kept an eye out for beekeeping activities. From the picture below it was clear that Turkish beekeepers have a different view of the optimum layout for an apiary. There must have been 200 plus hives in this apiary, with perhaps 100 per row. If you can’t quite work it out, here is a close up. More interesting pictures from Turkey to come.